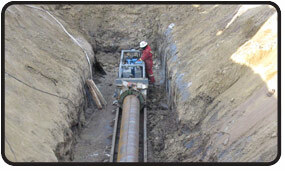 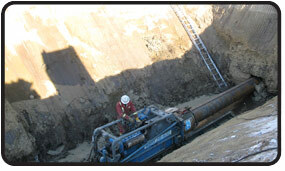 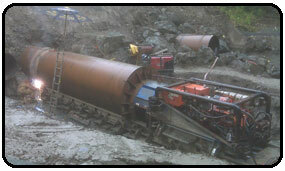 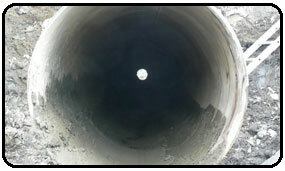 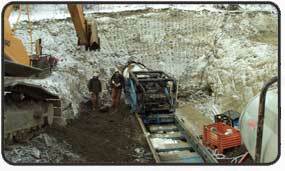 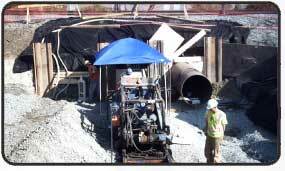 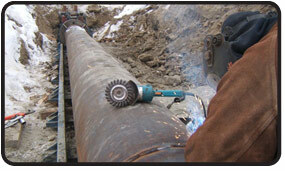 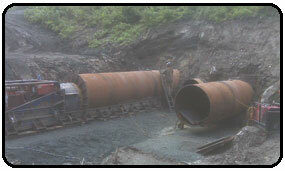 Horizontal Augering equipment is utilized for larger pipe diameters of 16-inch pipe and larger. 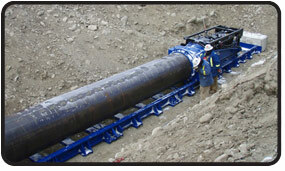 In unison with our disc cutter heads, Horizontal Augering is also used for boring through solid rock for pipe diameters of 24 inches and more. 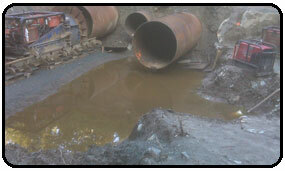 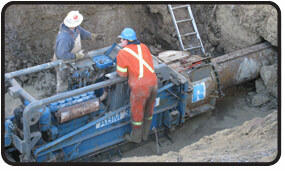 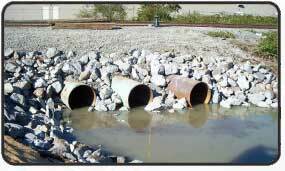 Our Horizontal Augering machines are frequently employed in cleaning out casings and culverts where dirt or other obstructions are restricting or blocking flow.